Product information "High quality wooden parallettes, low or medium version, ergonomic wooden handle"
Parallettes are the perfect equipment for Calisthenics, Crossfit and Bodyweight Training. With our specially developed wooden parallettes from Pullup & Dip we offer you the perfect equipment for your indoor and outdoor workout. The Parallettes are available in two different versions, low and medium. The specially developed ergonomic wooden handle protects your wrists and offers you a perfect grip during training. The feet made of high-quality steel including anti-slip pads ensure a safe and firm footing with every exercise. 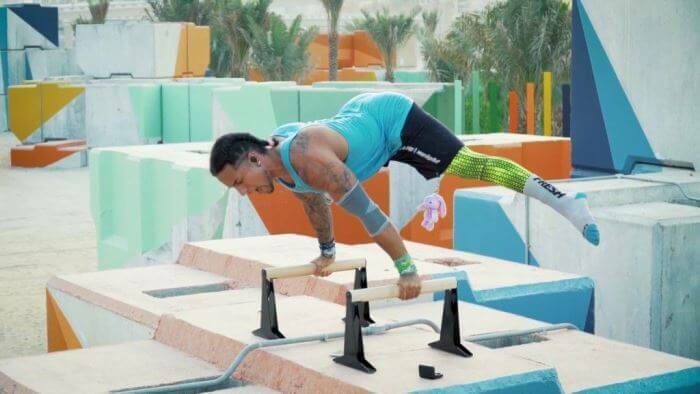 The wooden parallettes by Pullup & Dip are the ideal calisthenics equipment and are perfect for exercises such as pushups, L-sit, V-sit, planche, handstand, handstand push ups, sitting dips and many more exercises. Also included is a detailed eBook with 37 parallettes exercises that you can download conveniently via e-mail after your order. 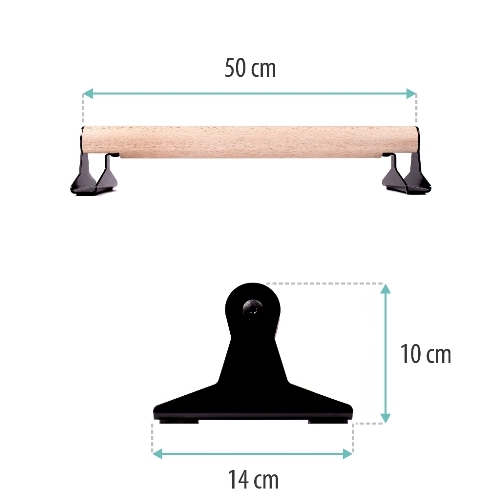 ✔ Handle height according to your choice: The parallettes are available in two different versions in LOW and MEDIUM according to your requirements. ✔ Ergonomic joint-friendly wooden handle: The specially designed ergonomic wooden handle made of natural beech wood is perfectly tailored to your hand, protects your wrists, is injury-preventing and offers in comparison to steel tubes a perfect grip even with sweaty hands. ✔ Wrist Support: Parellettes support your wrists because you do not have to bend them as for exercises such as push-ups, but can perform them in a neutral position. ✔ Durable and extremely stable: The wooden parallettes are made of high quality materials and are extremely stable. The solid heavy-duty steel feet in combination with high-quality wooden handles ensure extreme stability and longevity. ✔ Versatile exercises: The parallettes are free to move independently and allow you a versatile bodyweight workout. They are ideal for exercises such as L-sit, handstand, planche, push-ups, and many more exercises. Perfect for Calisthenics, Crossfit, Gymnastics and Bodyweight Training. ✔ Firm stand & modern design: Special non-slip and durable anti-slip pads protect the floor and provide a secure and firm standing for your workout. The modern design is very space saving, so you can easily stow them at home. ✔ Indoor & outdoor training: Thanks to the robust anti-slip pads and the feet, the parallettes are suitable for training at home, in the gym or outdoors. ✔ No installation work: The wooden parallettes are already assembled so you can start directly with your workout. ✔ From athletes for athletes: Our wooden parallettes have been specially designed in collaboration with athletes. ✔ Incl. exercise eBook: Following your order, you can conveniently download our free eBook with 37 parallettes exercises via email. 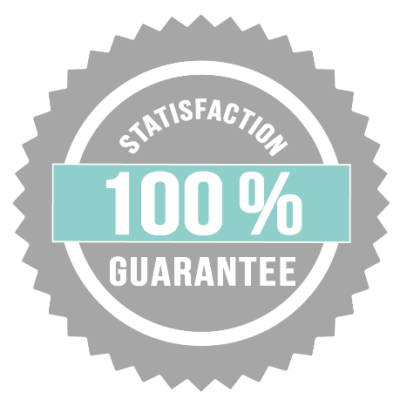 Related links to "High quality wooden parallettes, low or medium version, ergonomic wooden handle"
Customer evaluation for "High quality wooden parallettes, low or medium version, ergonomic wooden handle"
These are not the cheapest but in terms of quality and functionality the best I’ve ever had. So far I can only mention positive things after a few weeks. If you are looking for some high quality parallettes and are willing to spend some money for good quality then I can recommend them. Very well crafted parallettes. Especially with the ergonomic handle the manufacturer has done a great job. It has the perfect shape and offers a great grip. 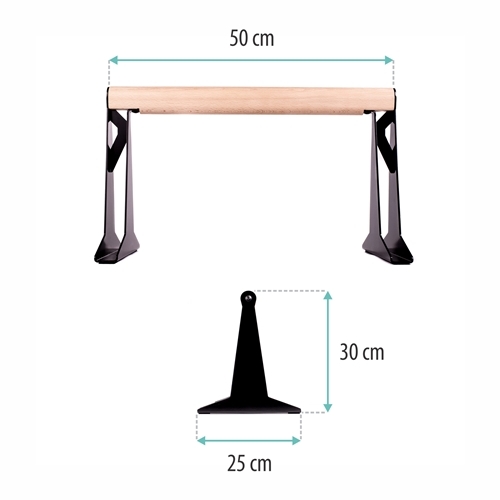 The stand is very stable so that exercises such as handstand, L-Sit or planche work really well. Those parallettes are not the cheapest but in terms of quality and the features it’s completely justified. Sturdy, stable, very well balanced and ergonomic with a wooden grip that makes work a lot nicer, so, at the moment the best I heve tried. Besides, fast shipping and well packaged. I just have to look them to be motivated for a workout! The Paralettes are super stable and feel perfect in the hand. The oval shape of the handles is reminiscent of parallel bars of gymnasts and they offer a perfect grip. 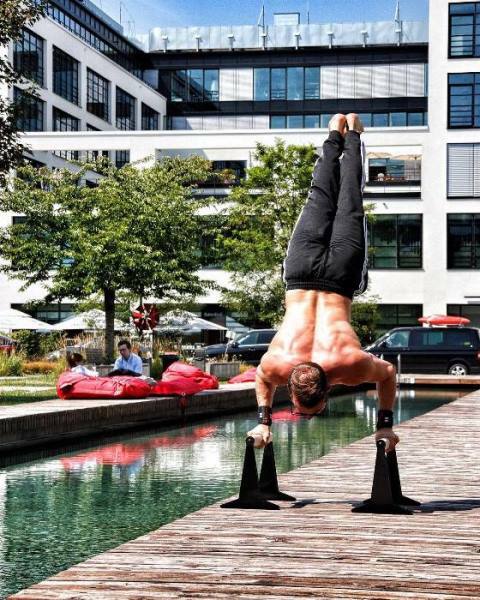 This makes handstand training really fun! But also for basics like pushups and dips these paralettes are optimal. I just have to look at them, and I'm already motivated for a workout!! For me the best parallettes on the market! "The unit is very sturdy and repairable (handles can be unscrewed and replaced should you need it). The shape of the handle is very ergonomic, it comes very helpful when learning the planck to handstand movement any the progressions in between. The asymmetric oval shape is much better then the rounded ones, the grip is much better. Customer support is super friendly and helpful. "For me the best parallettes on the market!" "For me the best parallettes on the market! 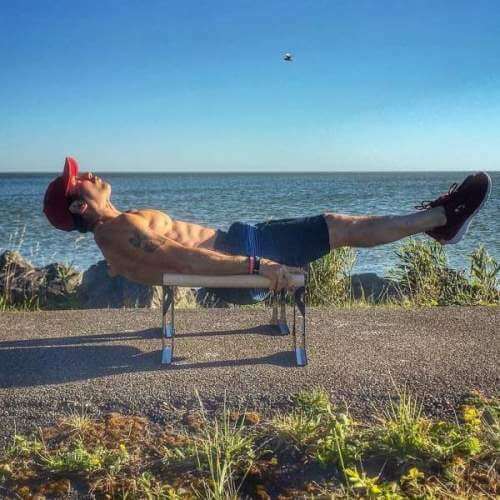 The wooden handle is super comfortable for the hands, especially for more difficult exercises like planche.With the non-slip pads I can train anywhere as I do not have to worry about them slipping away! Super product, highly recommended ""
"I just have to look them to be motivated for a workout!" "The Paralettes are super stable and feel perfect in the hand. The oval shape of the handles is reminiscent of parallel bars of gymnasts and they offer a perfect grip. This makes handstand training really fun! But also for basics like pushups and dips these paralettes are optimal. I just have to look at them, and I'm already motivated for a workout!!" "The parallettes have a very elegant design"
"The Parallettes have a very elegant design and the height (medium) is just perfect for what I do with it. I especially like the handle very well, it is very similar to gymnastic bars and nice and smooth with perfect grip. In addition, I can take them everywhere"
"These parallettes are incredible! Ultra stable and with very good quality materials, thought and studied down to the last detail (example: the small anti-slip pads under the parallettes, which is ideal for training at home). Products from Pullup & Dip are a real success!"